Just so you know, we are a participant in the Amazon Services LLC Associates Program and may collect a share from the links on this page.
. The author of the book is Kathy Hester, the blogger behind Healthy Slow Cooking. for Christmas, because I kept hearing so many great things about it, and how I was going to love it and so on. To tell you the truth I was unsure about the whole thing, because I’m more of a do-it-yourself than using an appliance. I have tried using a slow cooker before, and it just didn’t work out for me. I kept forgetting to put the food in the morning and by the time I remembered it was too late, and I would just cook whatever I was going to make on the stove. However, the Instant Pot is a pressure cooker, not a slow cooker, and that really appealed to me. 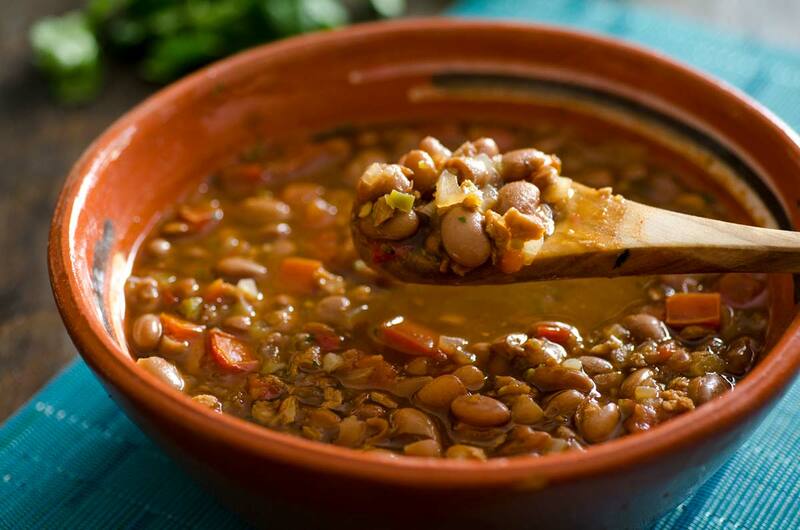 Pressure cooking saves time, instead of cooking beans on the stove for two hours they can be done in 40 minutes! It sounds good right? Well, the Instant Pot sat in the box for almost five weeks before I had the courage to try and figure it out. That’s where Kathy’s book comes in. Thanks to the book I was able to use the Instant Pot without a problem and realized that it’s actually quite easy to use. 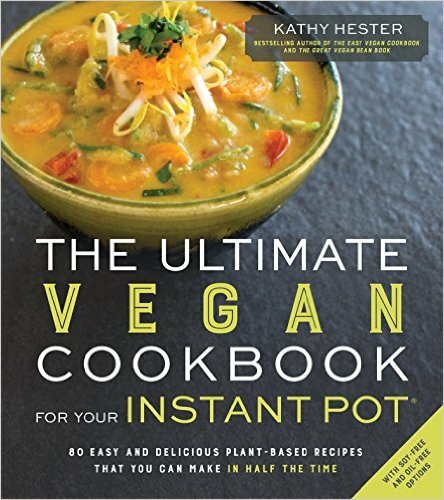 There are so many good recipes in this book, some that I didn’t even imagine could me made in the Instant Pot, like the Chocolate Tofu Cheesecake with a Hazelnut-Oat Crust. All the recipes are vegan and most can be made gluten-free and without oil. I can’t wait to try the Spicy Jackfruit Tinga and the Mole Sauce. for some quick, delicious, healthy vegan meals. Soak the beans the night before, this will shorten the cooking time. If you want to make this on the stove top, I recommend you used canned beans instead of cooking them from scratch. Process the tomatillo, onion, jalapeño and poblano in the blender until chopped but not completely pureed and simmer this mixture for 8-10 minutes. Add the canned beans and let simmer for 5 more minutes. If the sauce is too thick add vegetable stock or water. Season to taste. Enjoy! 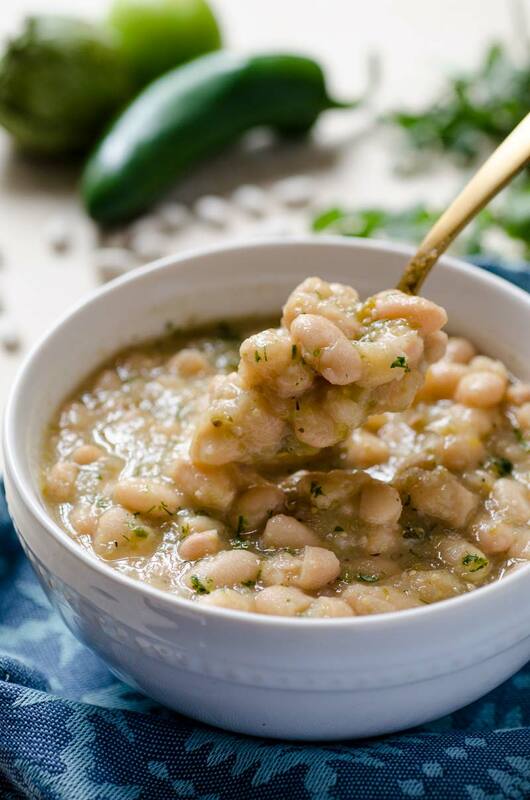 Instant Pot Poblano White Beans, white beans simmered in a tomatillo poblano salsa. For the sauté, add the tomatillos, poblano, onion and jalapeño to your blender or food processor. Pulse until the veggies are in tiny pieces, but not pureed. Use the sauté setting over normal, or medium heat, and pour in the blended veggies; add the cumin and stir to combine. Cook for about 4 minutes to remove the edge off the onions and make the cumin more fragrant. For the pressure cooker, add the beans, water and oregano to the sauté mixture and stir to combine. Put the lid on and make sure that the steam release handle is sealed. Cook on manual setting at high pressure and set for 35 minutes. Allow the pressure to release naturally. If there is still more liquid in the pot than you’d like to have, switch back to the sauté setting and simmer to allow some of the liquid to evaporate. If you want to make this on the stove top, I recommend you used canned beans instead of cooking them from scratch. Process the tomatillo, onion, jalapeño and poblano in the blender until chopped but not completely pureed and simmer this mixture for 8-10 minutes. Add the canned beans and let simmer for 5 more minutes. If the sauce is too thick add vegetable stock or water. Season to taste. I received a free copy of this book in exchange for my honest review. All thoughts and opinions are my own. 02/14/2017 /8 Comments/by Dora S.
Beans, beans, beans it seems people either love them or hate them. Guess which one of those is me? I love them of course. Growing up in a Mexican household, beans were just a part of everyday life, and I mean everyday. 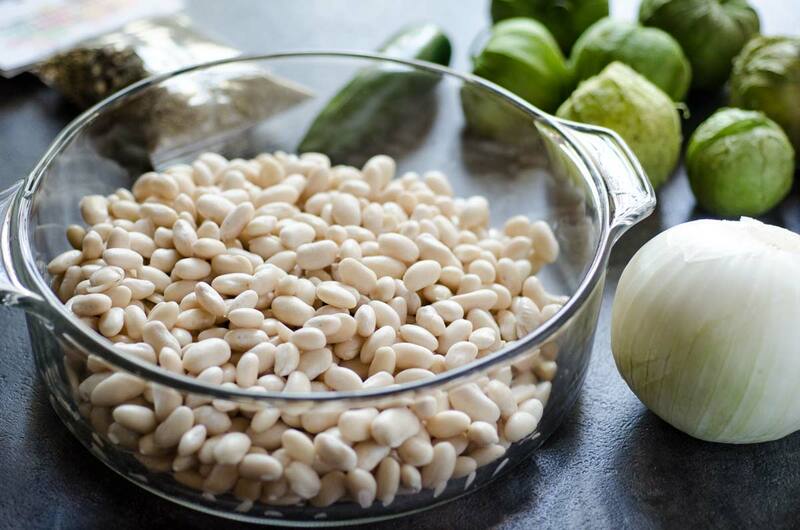 I have created one of my favorite recipes for you, vegan frijoles charros. This recipe is an adaptation of the recipe my dad uses at his restaurant. Frijoles charros, depending on what part of Mexico you are in, include chorizo, sausage or bacon. Sometimes the recipe includes a combination of all three of them. I made a big batch of my homemade vegan chorizo the other day and decided to use that instead. The result was a satisfying and warm bowl of tender smoky beans. Perfect for a cold fall day. The holidays are creeping up on me so fast. I’m not ready. 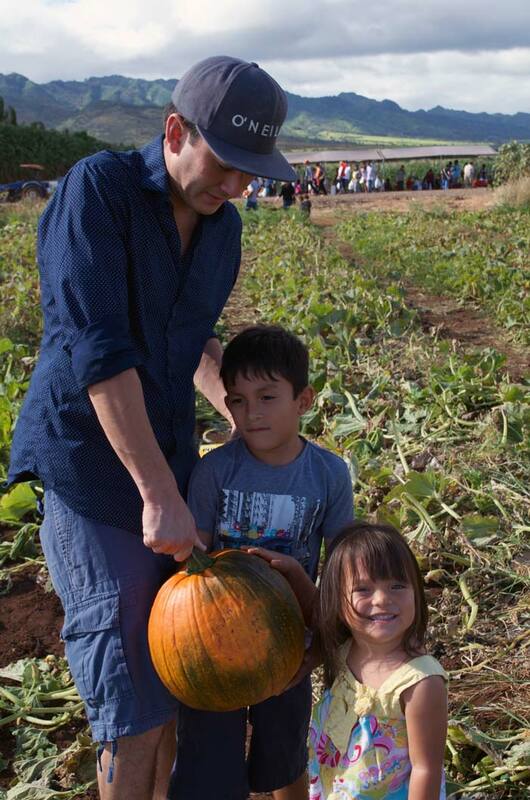 Pumpkin season is here, even in Hawaii. We went and picked out a pumpkin at Aloun Farms last week and it was so hot that day! It made us long for when we lived on the east coast and we would go pumpkin picking and playing in a corn maze in cool fall weather. However, I’m looking forward to making pumpkin marmalade and candied pumpkin with coconut whipped cream. Speaking of holiday food, my book Vegan Tamales Unwrapped is now available on Amazon in kindle format and I am really excited about it. I’m hoping this will help reach more people and spread the tamal love. The kids have developed an obsession with Bob Ross and it’s the cutest thing. The Joy of Painting is now on Netflix and it’s the perfect before bed TV. The kids find it to be super calming and interesting. So much so, that they now ask to watch it every night and there has even been some tears when there’s no time to watch it. There’s just something about his voice that is so soothing. I am certainly glad to get a break from Mickey Mouse and Pokemon! My dad’s original recipe uses bacon, but can use vegan sausage or vegan chorizo instead. When I make these beans I almost aways use them to make “refried” beans. I just strain some of the liquid out of the beans and puree them in the blender until they have the consistency of refried beans, no oil needed. Enjoy! Soak beans in water overnight. The next day, strain them and place in a large pot. Pour enough water into the pot to fill ¾ of the way. Cut your onion in half. Place ½ the onion, cilantro sprigs, and 3 garlic cloves into the pot with the beans. Reserve the other half of the onion. 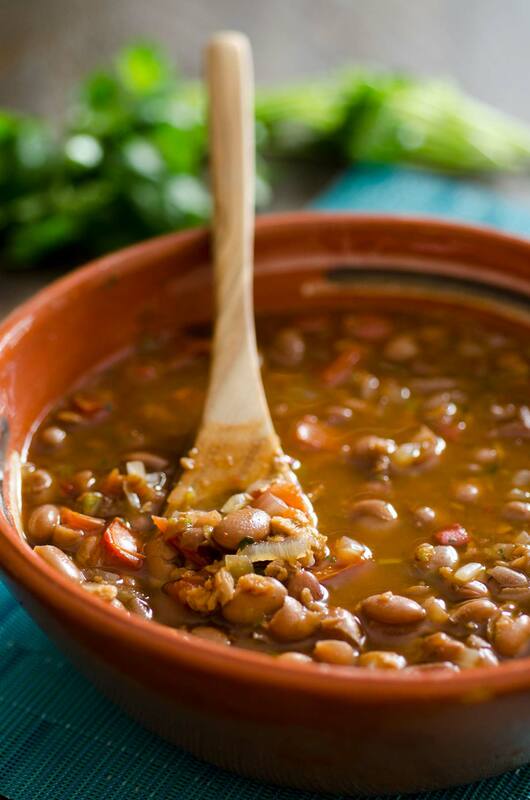 Bring water to a simmer and let beans cook until almost tender, approximately 1 ½ hours. While the beans are cooking heat a large sauté pan to medium-high heat. Add chorizo and sauté until slightly browned, about 4 minutes. While the chorizo is cooking, dice the other half of the onion. Remove chorizo from pan and set aside. Add ¼ cup of water, diced onion, and serrano peppers to the sauté pan. Sweat onion and chiles until tender and translucent about 4 – 5 minutes. Add tomato and let cook for 7-8 minutes more, or until the tomato has broken down and released all of its juices. Add this mixture, and the chorizo to the pot of beans and let simmer for 20 more minutes or until beans are completely tender. Season to taste with salt and pepper. You can add vegan bacon or sausage to this as well. You can buy the vegan chorizo or you can make this homemade version. 10/27/2016 /3 Comments/by Dora S.
Rice has been my nemesis for years. I don’t know why something so simple can be so complicated. Probably because I keep checking under the lid to see if it’s done! This was back when I cooked only with white rice, once I added brown rice to the mix, my complications doubled. That’s why it has taken me so long to finally come up with a good recipe for vegan Mexican brown rice. 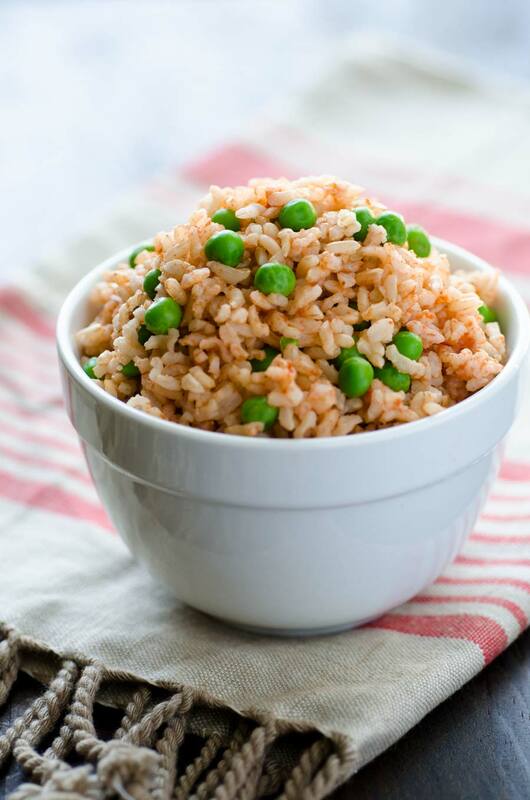 Some people also refer to it as Spanish rice, but it is all the same. I’m happy to say the kids enjoy brown rice as much as white. I think they don’t really care as long as it’s rice. They eat so much of it, that and noodles. 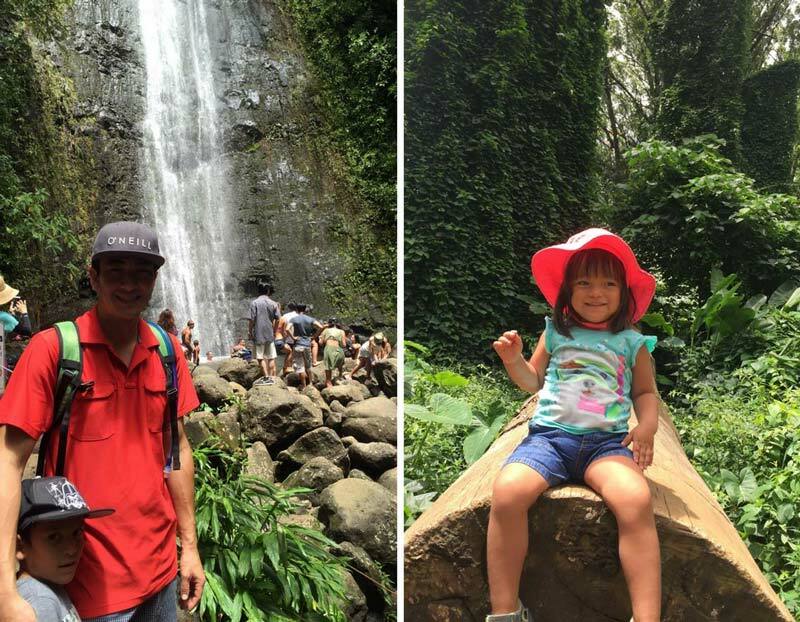 We went on another hike a couple of weeks ago, it’s called Manoa Falls. 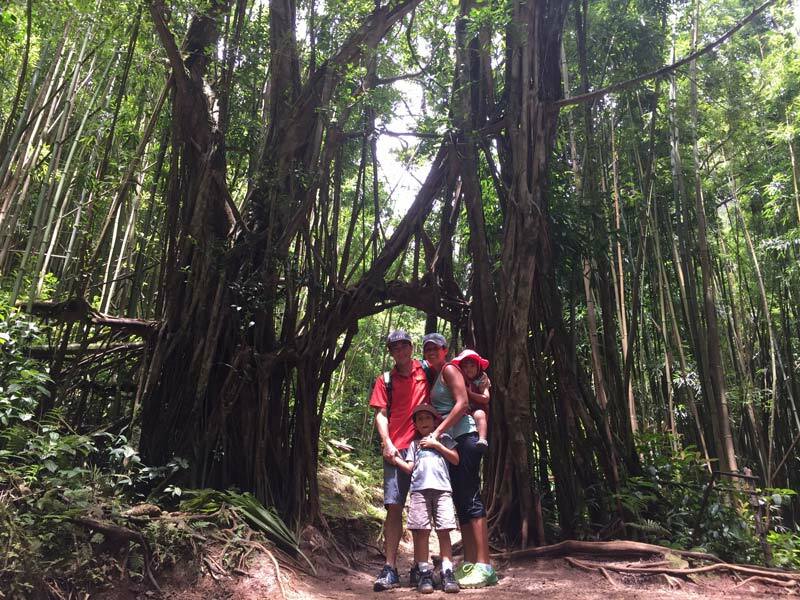 It’s a pretty popular hike, but not as well known as Diamond Head. This time my hubby went with us and we had a really good time. It takes about 30 minutes to get to the waterfall, and it’s a beautiful sight. It wasn’t too crowded and I would say it is of moderate difficulty. (Just on a side note, if you are ever in Hawaii, the state recommends not to go into the waterfall because there can be bacteria in the water called leptospirosis.) There are still many more hikes to explore, but I have been focusing on getting the hang of homeschooling and trying to post recipes at the same time! It has been a true exercise in patience. We have been here 5 months and I think I’m beginning to get island fever. I keep dreaming about going on a road trip and I don’t even like driving! Then I wake up and realize I can’t go anywhere. What we should really do is visit Maui, I hear it is very vegan friendly, or someone needs to come visit me. The problem I have had with brown rice before is that I could never get it tender enough, so I decided to soak it overnight this time and I really like the results. I dare say it’s almost fluffy. The other really important part of this recipe is toasting the rice. I did it without oil and it worked just fine. 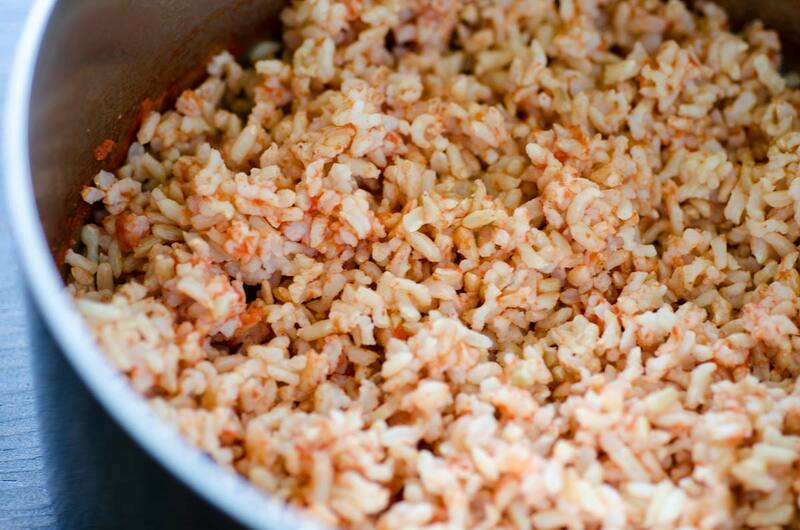 Simply add the rice to a medium pot set to medium heat and stir until the rice begins to brown. Careful though, it’s very easy to burn. The toasting ads an aromatic touch to the rice. Enjoy! Soak the brown rice in cold water overnight. Drain the rice. Set a medium pot to medium heat and add the rice. Stir often and let rice toast until golden brown, about 8-10 min. 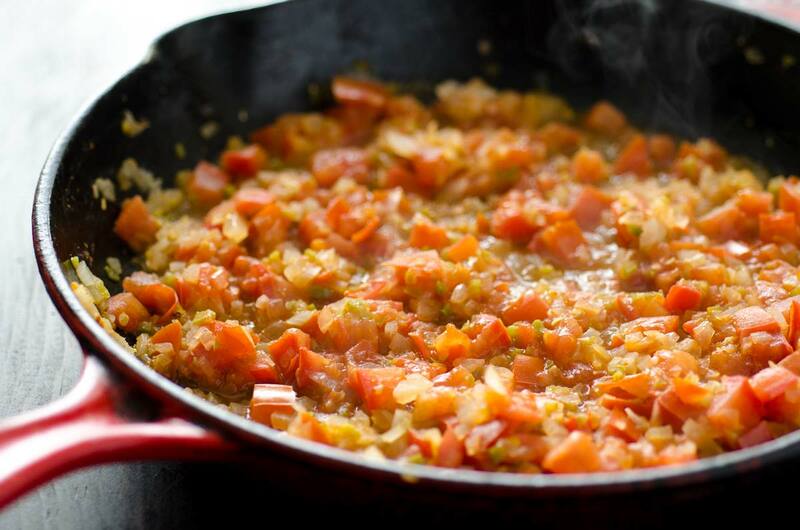 Meanwhile blend the tomato, onion, garlic, and tomato paste until smooth. Strain. You should end up with 1 cup of puree. If you don’t, add enough veg stock to make it one cup. Pour the tomato puree into the pot with the rice and let simmer for 2 minutes. Add the 1 ½ cups of vegetable stock. Add ½ tsp of salt and stir. Cover and turn heat down to a low simmer. Let cook for 35 – 40 minutes. Remove pan from heat and let rest covered for 7 minutes. Meanwhile drop peas in boiling water until tender, about 1 minute, drain. 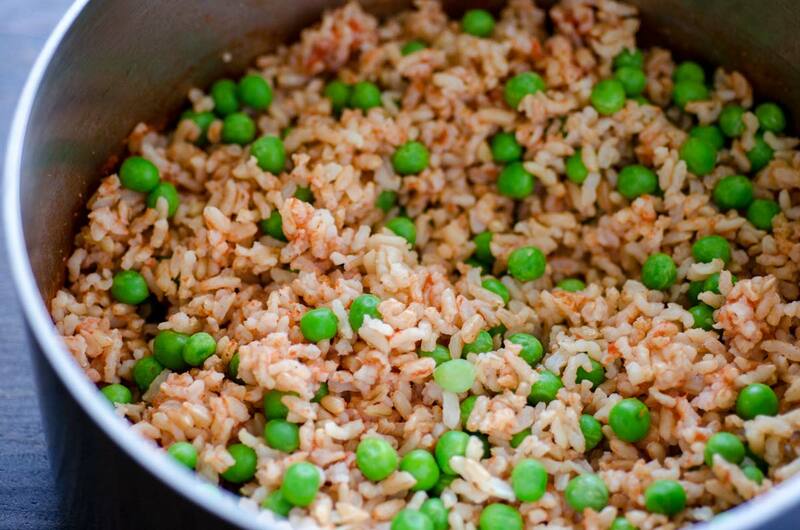 Add peas to rice and fluff with fork. If you forgot to soak the rice, don’t worry. It will take just a bit longer to cook. 09/28/2016 /6 Comments/by Dora S.
Every time lent and Easter comes around I get very homesick. Holy Week and Easter are a big deal in Mexico and our family has a set of traditions we practice every year. Every Friday in lent we enjoy comida de cuaresma(lent food) which includes things like tortitas de camaron, lentejas, caldo de mariscos, shrimp cocktails, capirotada, tortitas de coliflor, tortitas de papa, etc. I can’t get those things around here, or at least I haven’t found a place that serves traditional lent food, so I’ve adapted some of these dishes to be vegan. One of the other traditions that we really enjoy and we can do here is Mexican confetti eggs. I’ve been saving my eggs since February and we’ve already started painting some. 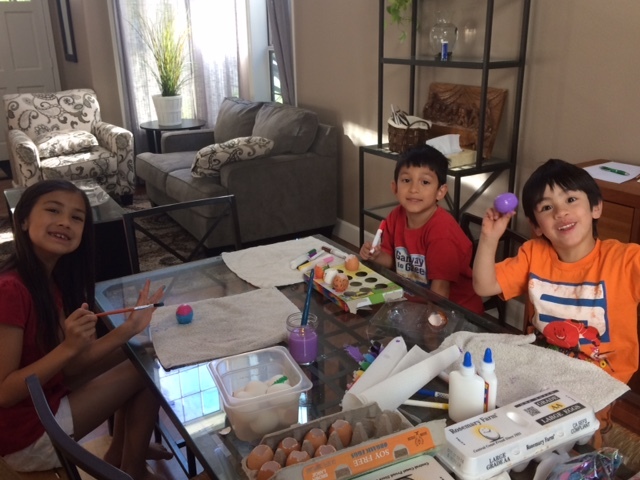 It’s so fun to watch the kids smash the eggs on each other’s heads and the colorful confetti jump out every where. Now all I have to do is find a family who will adopt us for Easter since the hubby is working. Sigh. Place all the ingredients for the sauce in the blender and process until smooth. Bring sauce to a simmer in a sauce pot set to medium heat. Simmer for 5-7 minutes, season with salt and pepper. Set aside. Sift the flour and cornstarch into a large bowl. Add the salt and soda water. Whisk until combined. The batter should have the consistency of a thick pancake batter. Add more water as necessary. Heat oil in a large pot or Dutch oven to 350°F. Once the oil is hot, use your hands to drop the cauliflower in the batter and then into the oil. Fry for 2-3 min. on each side or until the batter is crispy and slightly golden. Remove from oil and place on a plate or tray lined with paper towels. 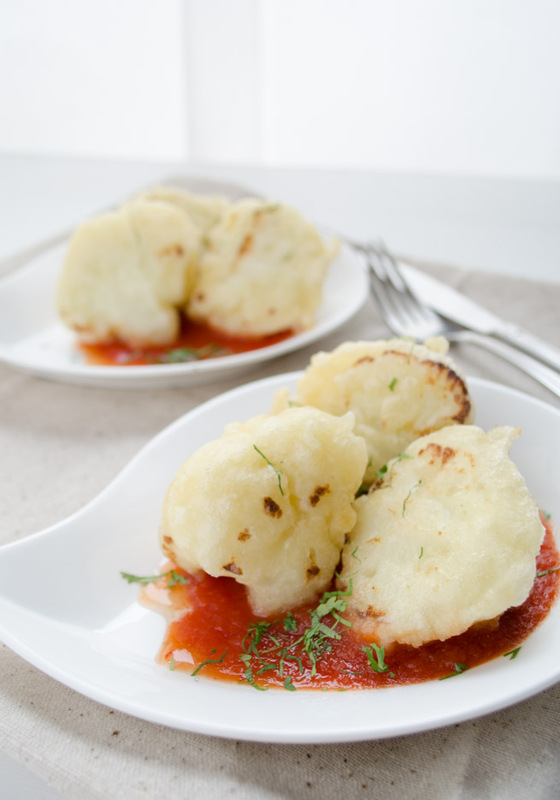 Serve with spicy tomato sauce. 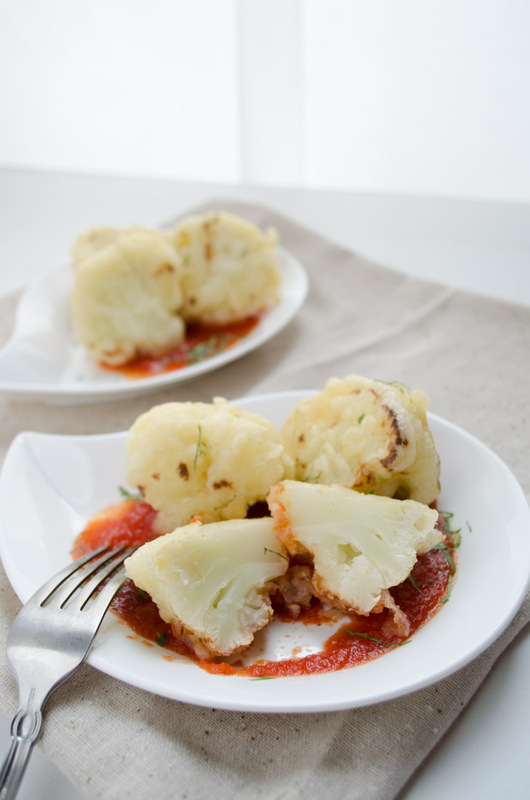 For a healthier version, season the cauliflower with salt, pepper and 1 tbsp. of oil. Roast the cauliflower in the oven at 450F for 20 min. 03/14/2015 /4 Comments/by Dora S.
Sooo…… I realize I haven’t posted in a while, but I have great news! I’m pregnant!! We are so happy and grateful, but I have spent the last 7 weeks trying not to puke all over myself. The nausea has been brutal. It truly has been a humbling experience. I have barely been able to eat food, much less cook it. I suddenly realized how much time I spend cooking food, eating food, looking at pictures of food, testing out new recipes, and photographing food. The nausea has finally started to subside and I am very thankful for that. Ironically, the only things that didn’t gross me out in the beginning were beef, chicken, or fish. So I had to temporarily set aside my attempts at a vegan diet. So yes, I’m back to eating my beloved cheese, and boy am I enjoying it! For some weird reason I keep craving Subway and we have been there more often than ever. I’m hoping my aversion to beans will subside soon, and then I might be able to go back to being plant-based. I know you’re busy so I will keep it short today. Have a wonderful Thanksgiving with your loved ones. I leave you with a last minute side dish recipe, just in case you forgot to buy the mushroom soup for the green bean casserole! This is one of my favorite side dishes. The recipe has been adapted from a Cook’s Illustrated magazine. The combination of the sweet balsamic and the caramelization that comes from roasting the beans is irresistible. Even the kids like them. The beans will wrinkle and brown in the oven, but that’s where all the flavor comes from. Serve this as a warm side dish or you can serve them cold over a salad. Enjoy! Preheat oven to 450F. Line baking sheet with aluminum foil or parchment paper. 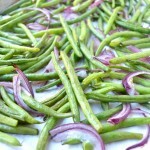 Place green beans and red onions on baking sheet and toss with olive oil, salt, & pepper. Roast in oven for 10min. In the meantime in a small bowl whisk the balsamic vinegar, the honey, and the garlic slices. Set aside. Remove beans from oven and pour the balsamic-honey mix over them. Toss with your tongs. Continue roasting for 10-12 more minutes or until beans have begun to shrivel and brown. * If you are vegan you can substitute with agave nectar or maple syrup. The beans will shrivel and wrinkle in the oven. They might not look as nice as blanched green beans, but they will taste great. These beans taste great cold with a balsamic honey dressing. Even the kids love this recipe! 11/28/2013 /1 Comment/by Dora S.
This roasted romanesco with tarragon, olive and lemon is a healthy side dish to any meal. 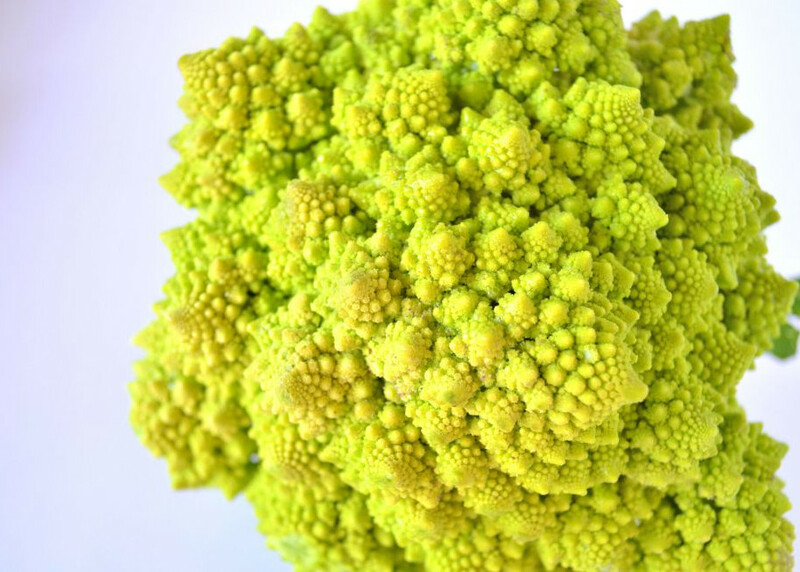 Romanesco is the ultimate confused vegetable. Is it broccoli or is it cauliflower? It is known as romanesco cauliflower, broccoli romanesco, or roman broccoli. 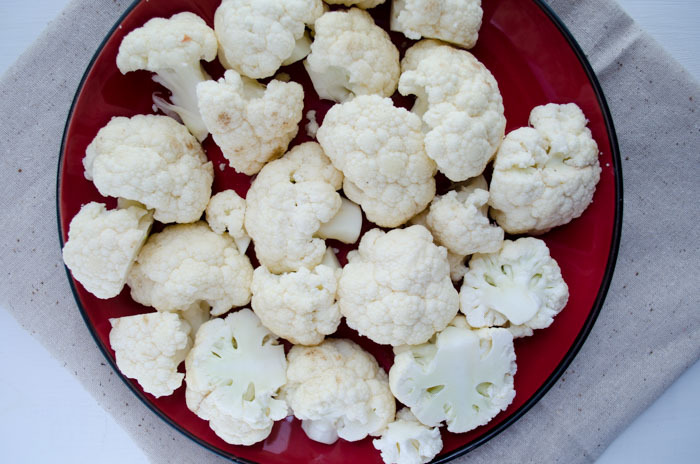 It is a variety of cauliflower, not a cross between broccoli and cauliflower, as is often thought. 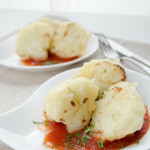 Its taste is very similar to cauliflower, but it is nuttier, sweeter, and with a softer texture when cooked. It is in season from late fall through winter. You can usually find them at your local farmer’s market, which is where I found mine. When selecting them be sure to look for a firm head with no signs of discoloring or yellow buds. To store them, cover in a damp paper towel, wrap loosely in plastic wrap, and place stem side up in the refirgerator. It will keep fresh for about a week. To prepare, wash and cut just as you would a cauliflower. I’m having a crisis, a food crisis. I’ve been avoiding the blog, because I’m having a hard time coming to terms with the truth. The hubby and I have decided to keep practicing the plant based diet after Lent is over. We plan on eating like normal human beings one day a week. One day a week!!! ” What about cheese? No more cheese!”, is all that keeps going through my head. I have been having some health problems, in the last 3 years, that have caused me a lot of discomfort. Medicine hasn’t helped or any other doctor recommendation, and I have finally reached the point where I would try anything to make it better. Well, just in the first week of cutting out all animal products from my diet, most of my symptoms disappeared, thus our decision to stick to this plant-based “nonsense”. Surprisingly my hubby is on board with this, not only to be supportive towards me, but because he has seen an increase in energy and his day-to-day life, and because frankly he feels good. Don’t worry, I’m not making this a vegan or plant-based blog. I hate labels, what if I start calling this a vegan blog and one month later I change my mind? We’re hoping that by eating animal products one day a week we won’t feel too deprived and be able to keep this going for longer than 40 days. I don’t know, we’ll see how it goes. You can eat Romanesco raw, steamed, sautéed, roasted, and boiled. We like it roasted the best, but it is great in pasta, mashed with potatoes, in soups, or raw in salads. Enjoy! In a large bowl combine romanesco, olive oil, salt, and pepper and toss to coat. 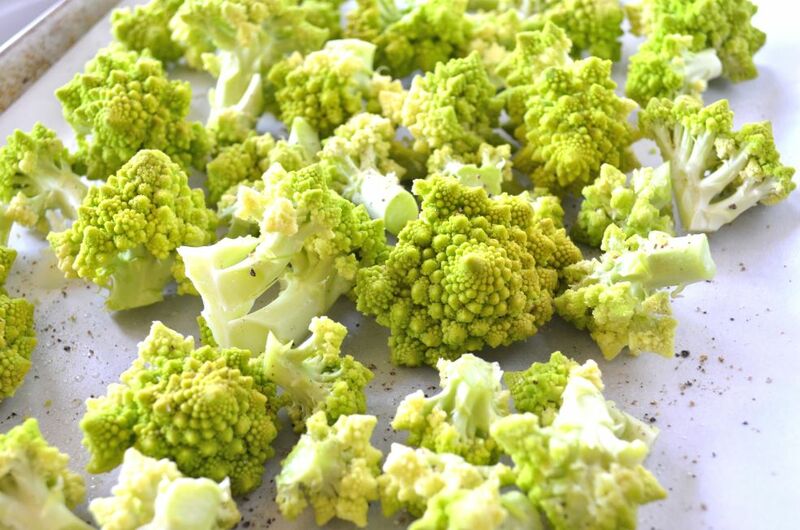 Place romanesco on a sheet pan lined with parchment paper and cover with foil. Roast for 30 min. Uncover and raise oven temperature to 400F. Roast for 15 more minutes. 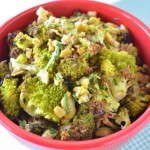 Remove romanesco from oven and combine with fresh tarragon, lemon juice, lemon zest, and olives. Adjust seasoning and serve. This recipe will also work with cauliflower. 03/23/2013 /4 Comments/by Dora S.